The residential energy audit will assist members by locating air leaks, lack of insulation and inadequate caulking, etc. Members are provided a detailed Energy Audit Portfolio that will recommend multiple energy saving measures. Members often ask Grundy Electric to help with a high-use complaint. 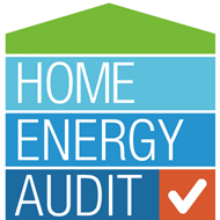 In many cases, a complete home energy audit can reveal sources of air leakage, duct leaks or ducts not properly connected, insulation settling, or other problem areas. A diagnostic blower-door test coupled with an infrared camera analysis can help show members where they have heat loss and heat gain in their home. If a member implements all audit designated improvements within 6 months, an incentive of up to 50% of the cost (with a cap of $500) will be paid for the corrective actions from our power supplier, Associated Electric Cooperative. This rebate is limited to eligible services/homes that purchase more than 6,000 kilowatt-hours of electricity on an annual basis. A weatherization rebate form must be completed prior to reimbursement. Corrective measures include such items as labor and materials for insulation, building shell sealing, interior duct sealing/insulation. Repair costs for HVAC equipment are not eligible for a rebate. Together, we have the power to make a difference. For additional information regarding this great co-op member benefit, please contact Randy Kinnison at 1-800-279-2249, extension 30 or request a residential audit by completing this Audit Request Form and emailing it to rkinnison@grundyec.com.